Accessibility (Wintertime improvements, Universal accessibility, Pedestrian, or Automobile-related), Cleanliness, and Beautification. Beautification (Public art, street trees, shrubs, banners/wayfinding). 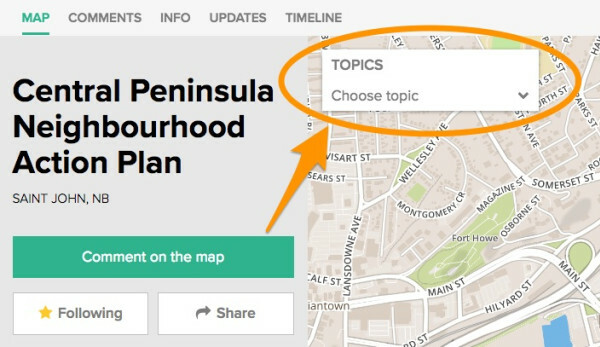 Through your pins we'll crowdsource the information and help identify priorities to include in the neighbourhood plan. PS. Thanks to all who attended the Open House last night at Market Square!